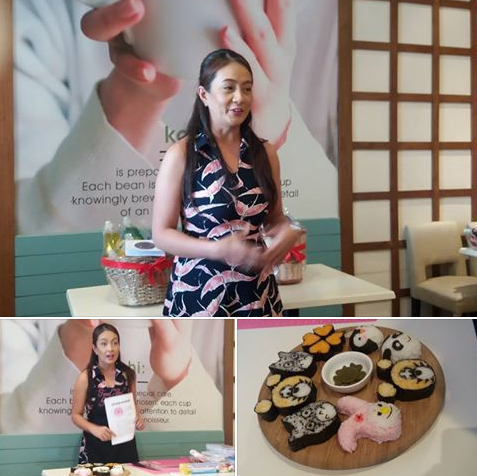 Last July 12, 2016, party host, event organizer and blogger Joy Mendiola celebrated her 43rd birthday in an intimate gathering of friends, with special participation of certified Art Maki instructor Jannet Salazar and Ms. Jen Dizon of Mikewell World of Household Products Company, maker of Bubble Man--the gentlest, eco-friendly, dishwashing liquid available in the market. Bubble Man Dishwashing Liquid comes in 3 variants: blue (anti-bacterial), green (Calamansi scent), and the yellow (Lemon scent). Bubbleman is one of the most affordable dishwashing liquid brand. A 250-ml bottle only costs P 32.50 (as compared to the leading brand's lemon and kalamansi variants priced at P 66.95). A single 880-ml bottle of Bubble Man is available at an affordable price of P 65.00 for all variants. Take advantage of their 2 x 880-ml bottle promo for only P120.00 for all variants and you get additional savings of P 5 off each bottle! Perfect for thrifty mommies out there! 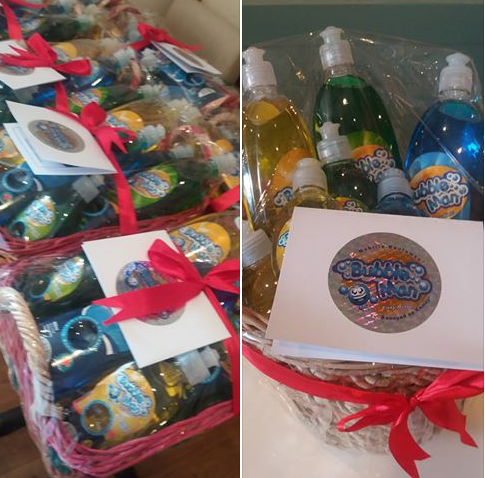 All of us got to take home a basket full of Bubble Man products! Proudly Pinoy-made, non-toxic, Bubble Man Dishwashing Liquid can be purchased from leading supermarkets nationwide. 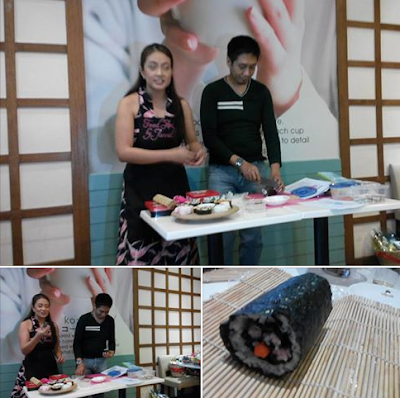 I enjoyed the Art Maki workshop lead by Jannet Salazar, the 1st Filipina art maki instructor to be certified by the Japan Sushi Instructors Association (JSIA). 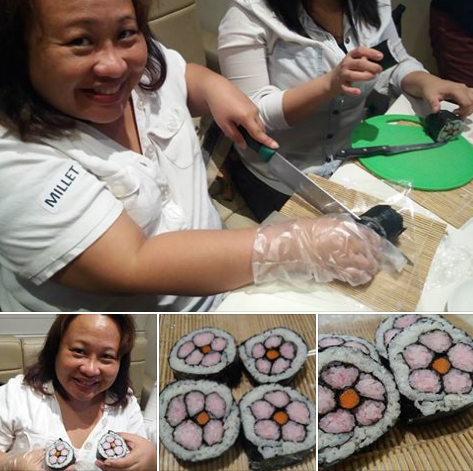 She completed her certification at the Tokyo Sushi Academy in Japan. As a skilled artist, she can make sushi and make look like whatever she wants to. And we were privileged to learn how to do a flower maki during our free session. For first timers, it was hard for me to wrap rice into a cylinder. We used Nori to add extra detailing. Maki art requires rolling each component of the artwork in right parts of the cylinder to ensure roll uniformity. These are then cut into seamless for creative visuals. Jannet takes her maki art to a whole new level. Her creations are so in demand that she runs classes and holds private sessions with maki art enthusiasts. Her food arts really make ordinary meals special. Jannet Salazar is a hands on mom and housewife who loves art, food and photography. Like Food Art by Jannet Facebook Page for workshop updates she has on the line from time to time. 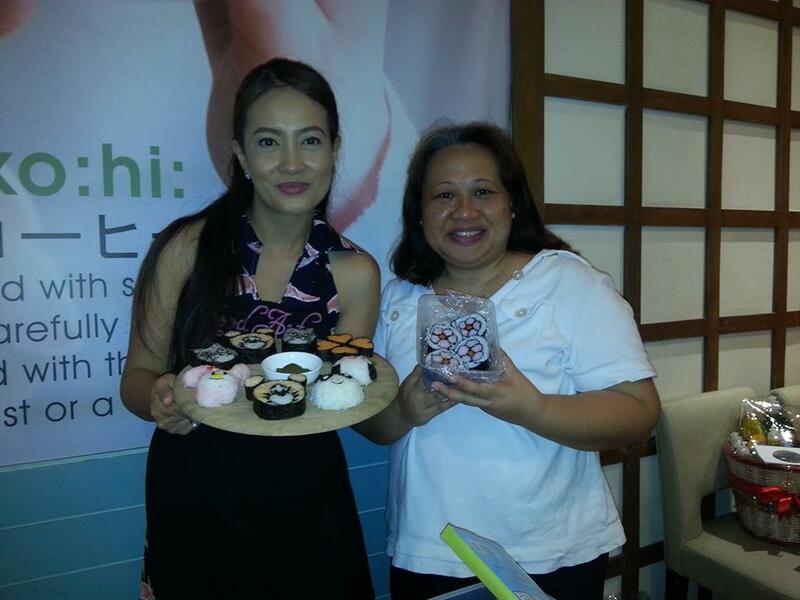 Many thank to Joy Memdiola for this wonderful affair.